What style do you think C-Ron asked for in the Madrid salon? My money’s on ‘Bickle Ladyboy’. PS. 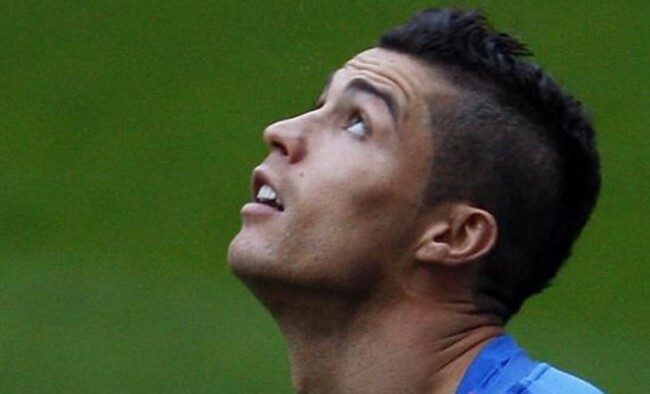 Ronaldo loves going to get his hair cut, as it means he can look at himself in the mirror for one hour without feeling guilty. By the way, pro-Real rag Marca dedicated a whole gallery and article to this ‘news’. Just to know. I’m liking the fact that “Marca” dedicated an 8 photo gallery to his new’ish look. But really, doesn’t it always look the same? I love it It’s still the same he just trimmed the sides and not the top he is just freaking beautiful and i don’t say it often about a man but he is truly a gorgeous man. what number is that on the sides!? like a number 2 or a 3?